What Are Your Bicep & Tricep Muscles? Your biceps and triceps are the two muscle groups of your upper arm. Don't confuse the biceps brachii, the formal name for the biceps muscles in the arm, with the biceps femoris, which is part of the hamstring muscle that runs up the back of the thigh. Biceps brachii in the arm has two muscles as part of its structure. As the name implies, the triceps brachii has three muscles as part of the structure of its muscle group. The biceps cross both the shoulder and the elbow. The muscles are at the front of the upper arm, starting at the front of the shoulder and ending at the elbow. You can feel the biceps by flexing your arm. The triceps sit at the back of the arm. They start at the back, lower part of the shoulder and end at the elbow, where the ulna, one of the two bones of the forearm, begins. The biceps flex the arm, such as when you lift a child or box. They also help rotate your forearm, such as when you hit a forehand in tennis or turn a doorknob. The triceps work with your back muscles, the latissimus dorsi, to extend your shoulder, such as when you do a pushup or push a door closed. Exercising these two muscles together is a common workout. Focus on the upper arm to increase your muscle definition. This not only improves the appearance of your upper body, but also maintains your ability to lift and push things. 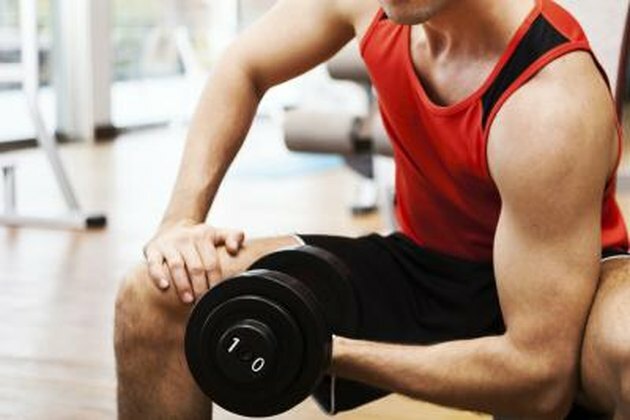 A typical exercise for the biceps involves isolation, such a biceps curl with a dumbbell or barbell. Triceps are also worked in isolation, such as when you lift a weight over your head for an overhead triceps extension. 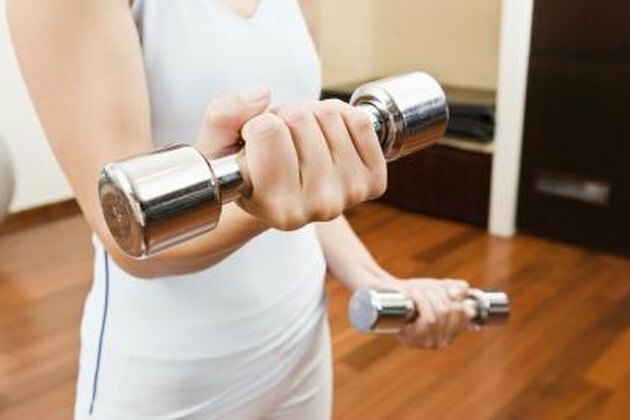 Avoid a common exercise mistake when working the upper arms by focusing too much on the biceps. These muscles are the ones that bulk up in men and provide a sleek upper-arm appearance. 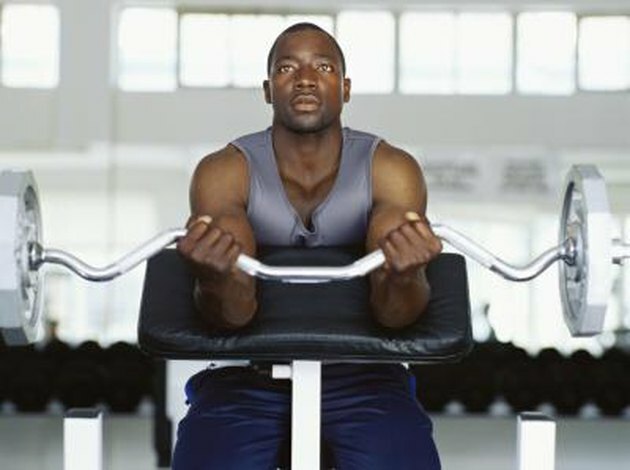 You need to balance biceps exercises with a triceps workout to maintain function in your arm and proper posture. Focusing on just one muscle group leads to an imbalance, which increases the potential for injury.